In this paper, an attempt is made to inject a little formal precision into the discussion of passage. 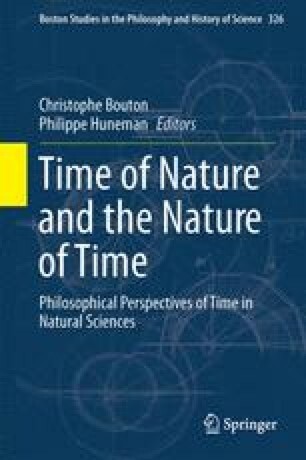 Instead of focusing on the quality of temporal experience, we talk about the content, and we argue that a good many of the issues can be resolved with an examination of the logic of temporal perspectives. Let us hug to us as closely as we like that there is real succession, that rivers flow and winds blow, that things burn and burst, that men strive and guess and die. All this is the concrete stuff of the manifold, the reality of serial happening, one event after another, in exactly the time spread which we have been at pains to diagram. What does the theory allege except what we find, and what do we find that is not accepted and asserted by the theory? Suppose a pure intelligence, bred outside of time, instructed in the nature of the manifold and the design of the human space-time worm, with its mnemic organization and the strands of world history which flank it, and suppose him incarnated among us: what could he have expected the temporal experience to be like except just about what he actually discovers it to be? How, in brief, could processes which endure and succeed each other along the time line appear as anything other than enduring and successive processes?